Selenium Toxicity from overconsumption of Brazil Nuts, selenosis, was “reported” on an episode of Dr. House, a medical TV show that often takes artistic liberties to enhance entertainment value. In reality, there has never been a reported case of Selenosis from ingesting Brazil nuts. 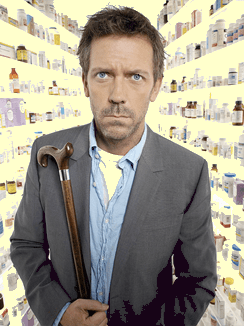 This is merely one example of many egregious errors and biases against natural medicine on the Dr House series, and is to be expected, considering the massive drug company advertising supporting the show.. This article is Part Two of the Case for Selenium for cancer prevention. For Part Three Click Here..
A second colon cancer study in mice from India published in the 2009 World Journal of Gasteroenterology showed that dietary selenium supplements reduced colon cancer tumors by 40 % in mice chemically treated with carcinogens to produce colon cancer. The BRCA gene is a mutation associated with increased risk of breast and ovarian cancer. Women with the BRCA1 gene face an 80% lifetime risk of breast cancer and of 40 lifetime risk of ovarian cancer. The BRCA1 gene manufactures proteins involved in repairing oxidative damage to DNA, with repair of the double-stranded DNA breaks. The BRCA gene test available from Myriad Genetics, which holds a patent on the human gene sequence. A report of selenium toxicity in the US appeared in the 2010 Archives of Internal Medicine. 200 cases of selenosis were caused by an error in manufacturing a liquid dietary supplement, which was subsequently recalled by the FDA. (13)(14) The recalled dietary supplement contained 200 times the labeled concentration of selenium, providing 40,000 mcg per day. For the 200 cases identified, the average serum selenium level was 751 mcg/ML. Symptoms of selenium toxicity include diarrhea, fatigue, hair loss, joint pain, nail discoloration or brittleness, and nausea. In view of this report, it would appear prudent to avoid liquid selenium preparations, and stick with tablets from known reputable sources. In addition, it is recommended that you work closely with a knowledgable physician who can measure serum selenium levels prior to, and during supplementation. The evidence is now overwhelming that dietary selenium is an essential mineral important for health. Selenium deficiency is an known cancer risk, and supplementation is beneficial for those with serum selenium levels below 135 mcg/ML. Since selenium is toxic at high doses, it is recommended that you work closely with a knowledgeable physician who can monitor levels. Int J Cancer. 2003 Feb 20;103(5):664-70. Serum selenium and risk of prostate cancer in U.S. blacks and whites. Vogt TM, Ziegler RG, Graubard BI, Swanson CA, Greenberg RS, Schoenberg JB, Swanson GM, Hayes RB, Mayne ST. Division of Cancer Epidemiology and Genetics, National Cancer Institute, Bethesda, MD 20892-7246, USA. We measured serum selenium in 212 cases and 233 controls participating in a multicenter, population-based case-control study that included comparable numbers of U.S. black and white men aged 40-79 years. Serum selenium was inversely associated with risk of prostate cancer (comparing highest to lowest quartiles, OR = 0.71, 95% CI 0.39-1.28; p for trend = 0.11), with similar patterns seen in both blacks and whites. Analysis of serum selenium data indicated a reduced risk of prostate cancer above concentrations of 0.135 microg/ml (median among controls) Because both the selenoenzyme GPX and vitamin E can function as antioxidants, we also explored their joint effect. Consistent with other studies, the inverse association with selenium was strongest among men with low serum alpha-tocopherol concentrations. In conclusion, our results suggest a moderately reduced risk of prostate cancer at higher serum selenium concentrations, a finding that can now be extended to include U.S. blacks. Proc Natl Acad Sci U S A. 2006 May 23; 103(21): 8179–8184. Here we used the transgenic adenocarcinoma mouse prostate (TRAMP) model to establish the efficacy of methylseleninic acid (MSeA) and methylselenocysteine (MSeC) against prostate carcinogenesis and to characterize potential mechanisms. Eight-week-old male TRAMP mice (C57B/6 background) were given a daily oral dose of water, MSeA, or MSeC at 3 mg Se/kg body weight and were euthanized at either 18 or 26 weeks of age. By 18 weeks of age, the genitourinary tract and dorsolateral prostate weights for the MSeA- and MSeC-treated groups were lower than for the control (P < 0.01). At 26 weeks, 4 of 10 control mice had genitourinary weight >2 g, and only 1 of 10 in each of the Se groups did. The efficacy was accompanied by delayed lesion progression, increased apoptosis, and decreased proliferation without appreciable changes of T-antigen expression in the dorsolateral prostate of Se-treated mice and decreased serum insulin-like growth factor I when compared with control mice. In another experiment, giving MSeA to TRAMP mice from 10 or 16 weeks of age increased their survival to 50 weeks of age, and delayed the death due to synaptophysin-positive neuroendocrine carcinomas and synaptophysin-negative prostate lesions and seminal vesicle hypertrophy. Wild-type mice receiving MSeA from 10 weeks did not exhibit decreased body weight or genitourinary weight or increased serum alanine aminotransferase compared with the control mice. Therefore, these selenium compounds may effectively inhibit this model of prostate cancer carcinogenesis. J Nutr. 2006 May;136(5):1311-7. Both selenoproteins and low molecular weight selenocompounds reduce colon cancer risk in mice with genetically impaired selenoprotein expression. Irons R, Carlson BA, Hatfield DL, Davis CD. Nutritional Science Research Group, National Cancer Institute, Rockville, MD 20852, USA. RESULTS: 100% of the DMH treated rats developed tumors, which was reduced to 60% upon simultaneous selenium supplementation. Histopathological studies on DMH treated rats revealed dysplasia of the colonic histoarchitecture, which showed signs of improvement following selenium treatment. CONCLUSION: The study suggests the antioxidative potential of selenium is a major factor in providing protection from development of experimentally induced colon carcinogenesis. Jpn J Cancer Res. 1985 May;76(5):374-7. Selenium in the blood of Japanese and American women with and without breast cancer and fibrocystic disease. Schrauzer GN, Molenaar T, Mead S, Kuehn K, Yamamoto H, Araki E.
Selenium concentrations in whole blood of Japanese and American women with and without breast cancer and benign fibrocystic breast disease were determined. The observed blood Se levels of healthy Japanese women (0.286 +/- 0.021 micrograms/ml) were similar to previously reported values for healthy Japanese adults. The Japanese patients with benign breast disease and with breast cancer exhibited blood selenium concentrations of 0.200 +/- 0.045 and 0.195 +/- 0.057 micrograms/ml, respectively. The mean blood Se concentration of Japanese breast cancer patients with recurrence was 0.188 +/- 0.061 micrograms/ml. The mean blood Se concentrations of healthy American women from San Diego, Calif., were 0.191 +/- 0.023 micrograms/ml; of women with benign fibrocystic disease, 0.142 +/- 0.010 micrograms/ml; and of breast cancer patients, 0.167 +/- 0.032 micrograms/ml. The higher blood Se concentrations of Japanese healthy subjects as compared to healthy Americans can be attributed to differences in the dietary Se intakes; low blood Se concentration may be indicative of increased breast cancer risk. Biol Trace Elem Res. 1988 Jan-Apr;15:205-12. The distribution of selenium in human blood samples of Israeli population–comparison between normal and breast cancer cases. Chaitchik S, Shenberg C, Nir-El Y, Mantel M. Elias Sourasky Medical Center Tel-Aviv, Israel. A preliminary study was carried out in order to compare the selenium concentration in breast cancer patients and healthy subjects (controls) in Israel. Blood serum samples were obtained from 32 breast cancer patients and 36 controls and were analyzed for selenium by the XRF method. A weighted mean of 0.076 +/- 0.014 ppm Se in the blood serum of breast cancer patients, as compared to 0.119 +/- 0.023 ppm Se for controls, was obtained. These results indicate that the concentration of selenium in breast cancer patients is significantly lower than in controls. The relationship between selenium concentration and malignancy stage shows an inverse dependence, i.e., the concentration decreases with stage number. The present studies were designed to examine the influence of dietary selenite supplementation on the initiation phase of 7,12-dimethylbenz(a)anthracene (DMBA)-induced mammary carcinogenesis and to correlate selenite-induced changes in the binding of DMBA metabolites to rat mammary cell DNA with the ultimate tumor incidence. Diets formulated to contain selenium, as sodium selenite at 0.1, 0.5, 1, 2, or 4 µg/g were fed for 2 weeks prior to and 2 weeks following treatment with DMBA (5 mg/kg body weight). Food intake and weight gain did not differ among treatments. Tumor incidence correlated inversely to the quantity of selenium consumed (r = -0.99). Final tumor incidences were 52, 32, 24, 14, and 10% for rats fed 0.1, 0.5, 1, 2, and 4 µg selenium/g, respectively. In a separate group of rats fed a diet containing 4 µg selenium/g during both the initiation and promotion stages the final tumor incidence was 4.8%. Selenite supplementation for 2 weeks markedly depressed the occurrence of individual and total DMBA-DNA adducts. The final mammary tumor incidence correlated positively with total DMBA-DNA adducts (r = 0.99). These studies clearly demonstrate that selenite can inhibit the initiation stage of mammary carcinogenesis. This reduction in tumor incidence is likely due to a reduction in carcinogen metabolism and ultimately adduct formation. Cancer Epidemiol Biomarkers Prev. 2009 Nov;18(11):2923-8. Selenium supplementation reduced oxidative DNA damage in adnexectomized BRCA1 mutations carriers. by Dziaman T et al. Poland. Some experimental evidence suggests that BRCA1 plays a role in repair of oxidative DNA damage. Selenium has anticancer properties that are linked with protection against oxidative stress. To assess whether supplementation of BRCA1 mutation carriers with selenium have a beneficial effect concerning oxidative stress/DNA damage in the present double-blinded placebo control study. Altogether, these results suggest that BRCA1 deficiency contributes to (Oxidative Damage and Breaks ) accumulation in cellular DNA, which in turn may be a factor responsible for cancer development in women with mutations, and that the risk to developed breast cancer in BRCA1 mutation carriers may be reduced in selenium-supplemented patients who underwent adnexectomy. Women who carry a mutation of the BRCA1 gene face a lifetime risk of breast cancer of ∼80% and a lifetime risk of ovarian cancer of ∼40% (1). Men who carry a BRCA1 mutation seem at elevated risk for breast and prostate cancer (2). The BRCA1 gene product is involved in the maintenance of the integrity of the human genome and functions in conjunction with BRCA2 and RAD51 to repair double-stranded DNA breaks through the mechanism of homologous recombination (3). One of the most commonly used cytogenetic tests for the assessment of chromosome instability is the in vitro bleomycin assay (9). This is a simple and reproducible assay that measures induced chromosome breaks. Patient lymphocytes are cultured in the presence of bleomycin, a known mutagenic agent that typically induces double-strand breaks (similar to those induced by ionizing radiation). The mean number of chromosomal breaks per cell is then measured after bleomycin exposure. The assay has been used to study susceptibility to various types of cancer (9, 10). Using this technique, we explored the possibility that oral selenium supplementation may reduce the formation of induced chromosome breaks in female BRCA1 carriers. An oral selenium solution was provided to the study subjects which contained 690 μg of pure selenium, in the form of sodium selenite (Na2SeO3) per mL of 70% ethanol. Subjects were requested to consume 0.2 mL of the solution twice daily. Among the BRCA1 carriers (n = 32), this level of supplementation resulted in an increase in the mean serum selenium from 56.7 ± 12.7 to 90.2 ± 17.6 ng/mL (P < 0.001). Selenium levels were not measured in the noncarrier controls. In the first phase of this two-part study, we observed that the lymphocytes from heterozygous carriers of deleterious mutations of the BRCA1 gene show an elevated frequency of chromosome breaks after exposure to bleomycin in vitro compared with noncarriers. In the second part of the study, we have shown that in most cases, these elevated levels can be reduced to normal with oral selenium supplementation. Although our sample size was small, our results were highly significant; in every case, selenium supplementation resulted in a reduced frequency of chromosome breaks. It has been shown that individuals with inherited predisposition to cancer (including colon, breast and ovary) have increased sensitivity to bleomycin. We published that bleomycin-induced chromosomal instability in BRCA1 carriers is inhibited by selenium supplementation in physiologic (according to WHO) doses. Selenium was shown to reduce the risk of several cancers. The aim of our study is to verify the idea that selenium supplementation of diet reduces the risk of cancer in women with a BRCA1 mutation. We performed two pilot studies involving 200 healthy BRCA1 mutation carriers (100 matched pairs – cases and controls). After two years of oral selenium administration the frequency of BRCA1-associated tumours was two times lower in women who supplemented their diet with selenium, as compared to women without supplementation. Sep15 is a selenium-containing protein whose gene is mapped on human chromosome 1 at position 117-123 cM on the human transcript map, corresponding approximately to 1p31, a common position of chromosomal loss in breast cancer and other solid tumors. These observations, the studies reported here for breast cancer, and the likelihood that Sep15 protein levels might be reduced in individuals with sub-optimal selenium intake, raise the possibility that the Sep15 gene product provides an anti-cancer protective role and may mediate some of the protective effects associated with selenium adequate or supplemental intake. Acute Selenium Toxicity Associated With a Dietary Supplement Jennifer K. MacFarquhar et al Arch Intern Med. 2010;170(3):256-261. The source of the outbreak was identified as a liquid dietary supplement that contained 200 times the labeled concentration of selenium. Of 201 cases identified in 10 states, 1 person was hospitalized. The median estimated dose of selenium consumed was 41, 749 µg/d (recommended dietary allowance is 55 µg/d). Frequently reported symptoms included diarrhea (78%), fatigue (75%), hair loss (72%), joint pain (70%), nail discoloration or brittleness (61%), and nausea (58%). Symptoms persisting 90 days or longer included fingernail discoloration and loss (52%), fatigue (35%), and hair loss (29%). The mean initial serum selenium concentration of 8 patients was 751 µg/L (reference range, 125 µg/L). The mean initial urine selenium concentration of 7 patients was 166 µg/24 h (reference range, 55 µg/24 h). Conclusions Toxic concentrations of selenium in a liquid dietary supplement resulted in a widespread outbreak. 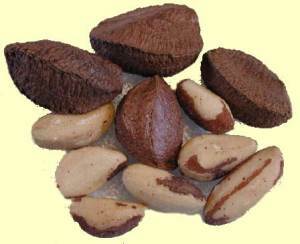 Brazil nuts: an effective way to improve selenium status. Am J Clin Nutr. 2008 Feb. Thomson CD, Chisholm A, McLachlan SK, Campbell JM. Department of Human Nutrition, University of Otago, Dunedin, New Zealand. We investigated the efficacy of Brazil nuts in increasing selenium status in comparison with selenomethionine. Participants consumed 2 Brazil nuts thought to provide approximately 100 mug Selenium, 100 mug Selenium as selenomethionine, or placebo daily for 12 wk. Actual intake from nuts averaged 53 mug Selenium /d (possible range: 20-84 mug Se). Plasma selenium and plasma and whole blood glutathione peroxidase activities were measured at baseline and at 2, 4, 8, and 12 wk, and effects of treatments were compared. Plasma selenium increased by 64%, 61%, and 7%; plasma glutathione peroxidase by 8%, 3%, and -1%; and whole blood glutathione peroxidase by 13%, 5%, and 1.9% in the Brazil nut, selenomethionine, and placebo groups, respectively. Consumption of 2 Brazil nuts daily is as effective for increasing selenium status and enhancing glutathione peroxidase activity as 100 mug Se as selenomethionine. All participants were simultaneously included in the study protocol that consisted in the consumption of 45 g/ d of Brazil nuts, roughly 11 nuts, for a 15-day period. described after consumption excesses that lead to a higher than 1000 μg/L concentration in the plasma for prolonged, long-term periods in areas of endemic selenosis. Before starting serum Selenium was 56 mg/ML and after 208. House M.D.” Whatever It Takes (2007) CIA Agent Smith: So he ate Brazil nuts. Big Deal. Dr. Gregory House: No, he ate a lot of Brazil Nuts, Which is a big deal, because they contain selenium. Which, in high doses, causes fatigue, vomiting, skin irritation, discharge from the fingernail beds, and hair loss. Any of this sound familiar? Whatever It Takes” is the sixth episode of the fourth season of House and the seventy-sixth episode overall. It aired on November 6, 2007. Fan AM, Kizer KW: Selenium-Nutritional, toxicologic, and clinical aspects. typical diversity of the American diet. Nonetheless, because of the growing public interest in selenium as a dietary supplement and the occurrence of environmental selenium contamination, medical practitioners should be familiar with the nutritional, toxicologic, and clinical aspects of this trace element.